Columbia 300 produced the Scout Reactive Bowling Ball for bowlers just getting into the game to use on drier lanes. Featuring the original 3 piece pancake core technology, Columbia covers it with a reactive veneer coverstock that is polished to provide length through the heads, and consistent reaction on drier lanes. Columbia provides several color combos to offer choices for the differing styles of their bowlers. Grab a Columbia 300 Scout Reactive Bowling Ball today! Bought this for my nephew for Christmas. He bowled his first 100+ game with this ball. I am still getting use to how it has a curve. I love my bowling ball. Great question Smokey! 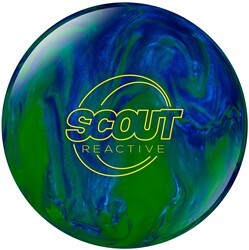 The Columbia Scout/R Green/Blue is an entry level ball that has a polish finish that can be used on any lane condition. This is a great ball for a beginner! Hi Mike. Yes, it will have a slight hook. I am left handed. Is this ball for both left and righty? 4/25/2017 - By Steven A. Hey Steven. This ball is for both left and right handed bowlers. You can always request in the blue box, or special comments box, that you would like your ball made specifically for a left handed bowler. This would be an excellent ball for her! This ball does not have holes in it unless you select for us to do the drilling. 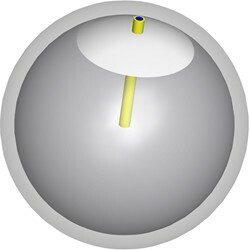 If you select for us to do the drilling, there is a small "?" beside the drilling option which will give you more details about the sizes of the holes so you can see the measurements. This is an entry level ball that will have a slight hook. Due to the time it takes to produce the Columbia Scout/R Green/Blue ball it will ship in immediately. We cannot ship this ball outside the United States.